Slovenian couple Jure in Simona are seasoned travellers. In 2015 they went on a year long around the world trip. Back then, they were documenting their adventures on their blog, but now they also started vlogging! I’m very much looking forward to their upcoming vlogs and videos! Dany is Ukraine-born German who is currently traveling the world with his girlfriend. 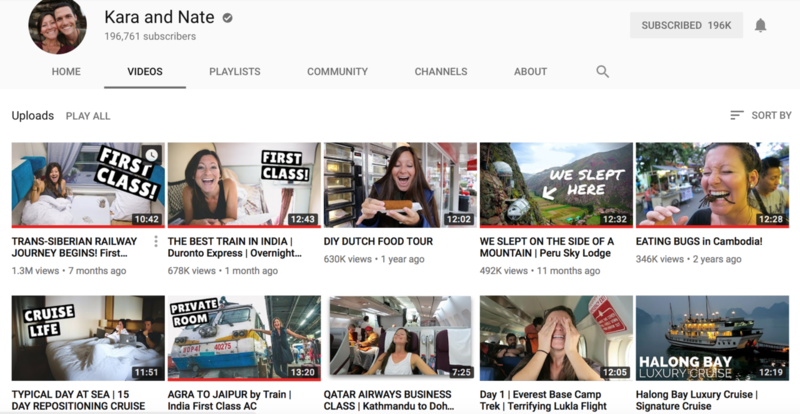 He is documenting their daily life on the road in a series of fun and interesting vlogs. Tom is Slovenian training coach and video-maker who just got back from his 6-month trip around SE Asia. 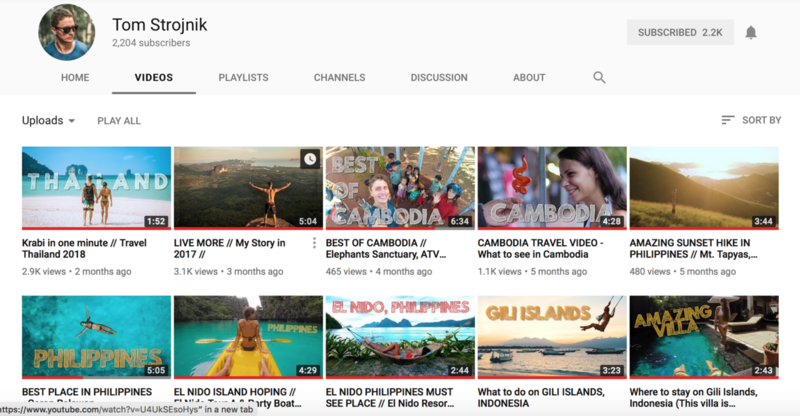 He travelled Thailand, Cambodia, Philippines and Indonesia with his girlfriend Nina and made some breathtaking videos in the process. Now they are back home in Slovenia, but I hope they will keep documenting their adventures. 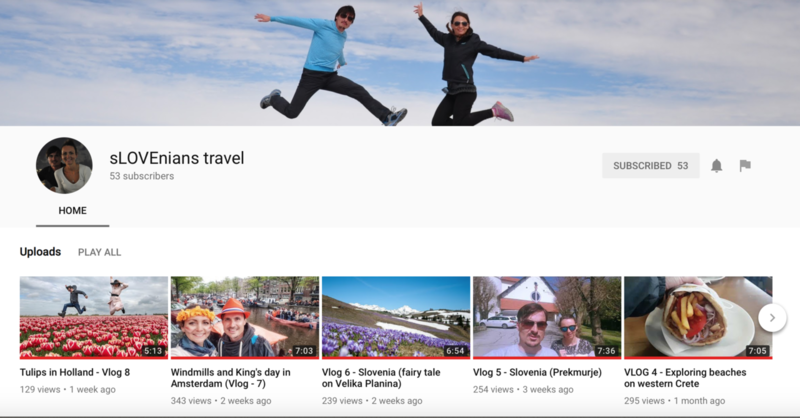 Anna and Trevor are a lovely Canadian couple who loves to travel and is documenting their amazing travel adventures in a series of fun and informative vlogs. Slovenian couple Katja and Mic are also seasoned travellers. They are authors of popular Slovenian travel blog Povsod je lepo (english version: I Need Toilet paper). 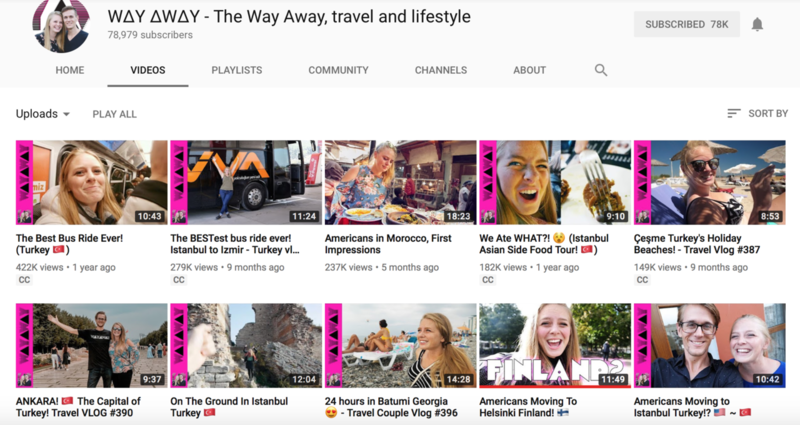 They also have their YouTube channel with cute and fun videos and vlogs from their travels. British couple Alex and Emma are digital nomads traveling the world in search of what makes them happy. 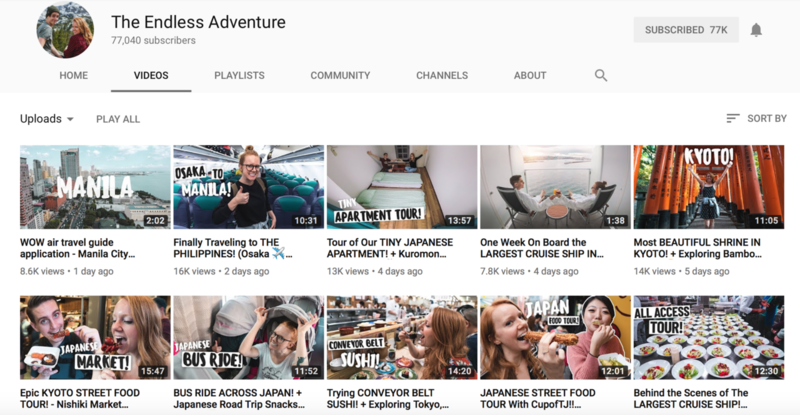 In their vlogs they not only document their travels, but are also addressing some travel-related issues, like for example ethical animal interactions. Few years ago, American husband and wife Josh and Ashley sold everything they had to travel the world. 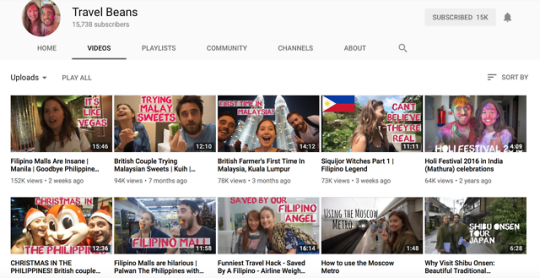 Now they are full-time travellers who are sharing their travel experiences in series of fun vlogs. 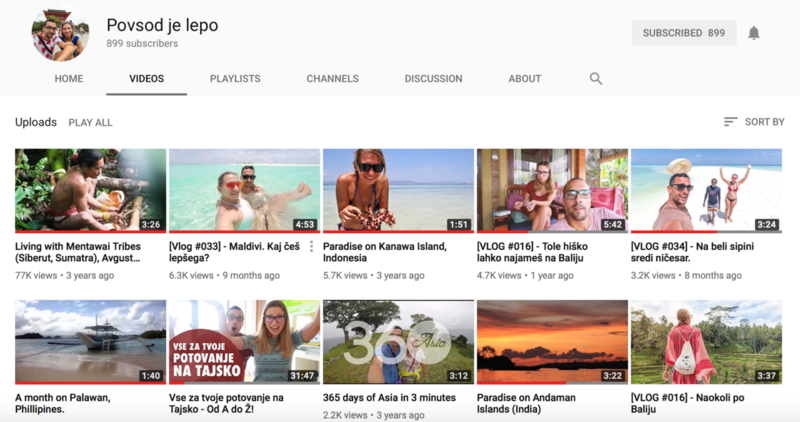 Eric and Allison are another American full-time traveler couple who are sharing their travel and culinary adventures from all around the world on their YouTube channel. 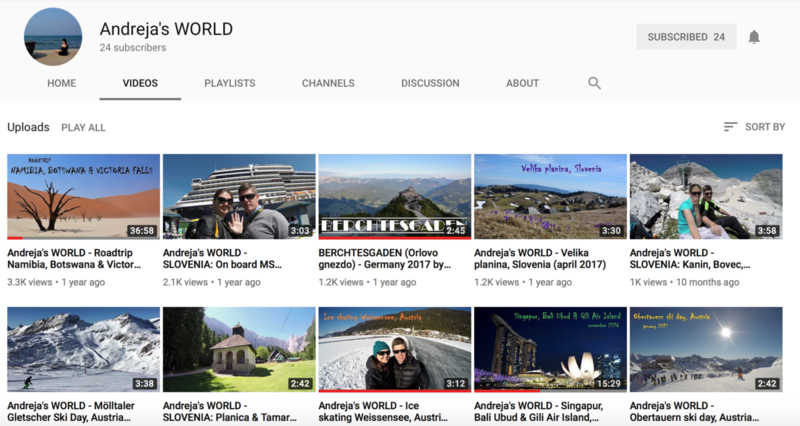 Andreja’s main platform is her blog (which I love), but she also has a YouTube channel featuring lovely videos from her travels all around the world. 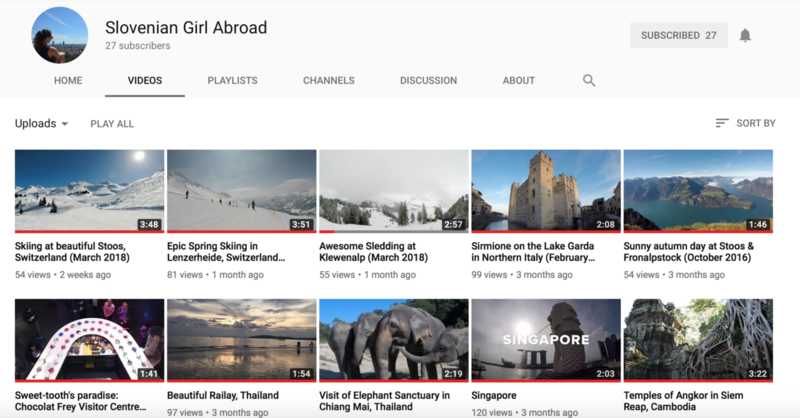 Which are you’re favourite YouTube travel channels? Share your favorites in the comments, and remember to check out my channel too. Thanks for the suggestions, I will have to check these out. 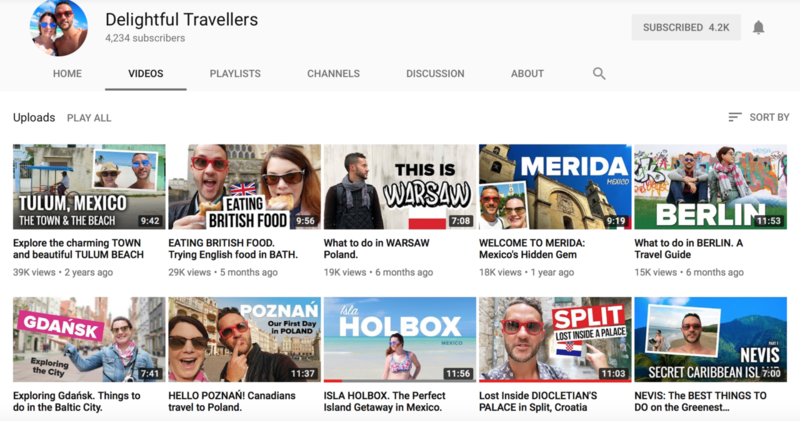 My favorite channel to watch right now is The New Travel. Dan is a Canadian now in Mexico. He is so funny and his videos are really interesting. I also have a youtube channel, but I don’t post as often as I would like. I wish I had more time. Thanks for sharing on #TheWeeklyPostcard. I know, I have the same problem. Making videos is quite time-consuming. I’ll definitely check your channel out. How is it called? Two Travelling Texans? 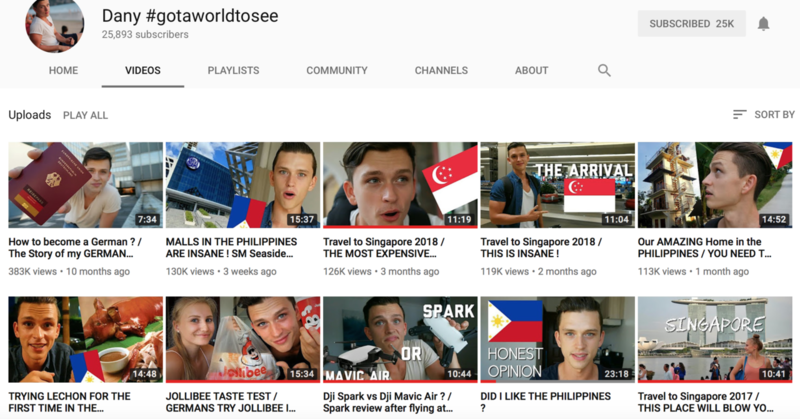 Nice collection of vloggers! You certainly found some good ones to follow that sound interesting! For me though, it’s just not something I got into for some reason! Thanks for linking up with #TheWeeklyPostcard!